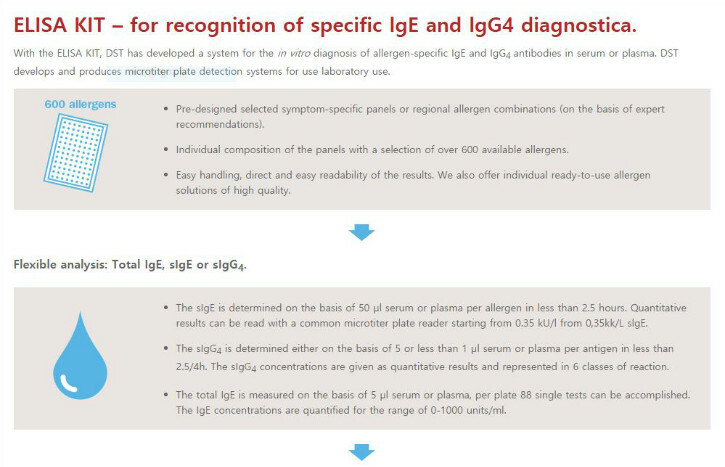 The liquid allergen system (LAS) from DST is an ELISA system for in vitro diagnostics of the total IgE as well as of specific IgE and IgG4 – where an existing type 1 allergy or food incompatibility is suspected. Antibodies are targeted and detected as valid in the sample serum or sample plasma with the liquid allergy extracts manufactured by DST. With the use of the high-quality DST liquid allergen system, the constantly increasing allergies in the population can be recognized flexibly and economically. 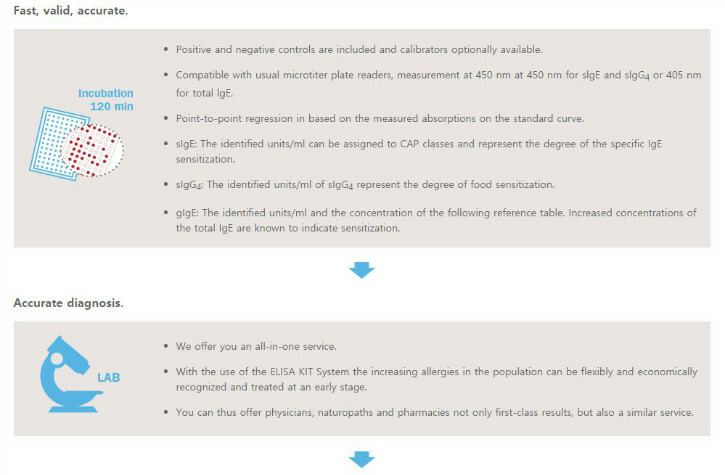 The results provided quickly and accurately by the laboratories enable physicians to make a targeted patient consultation and therapy recommendation.